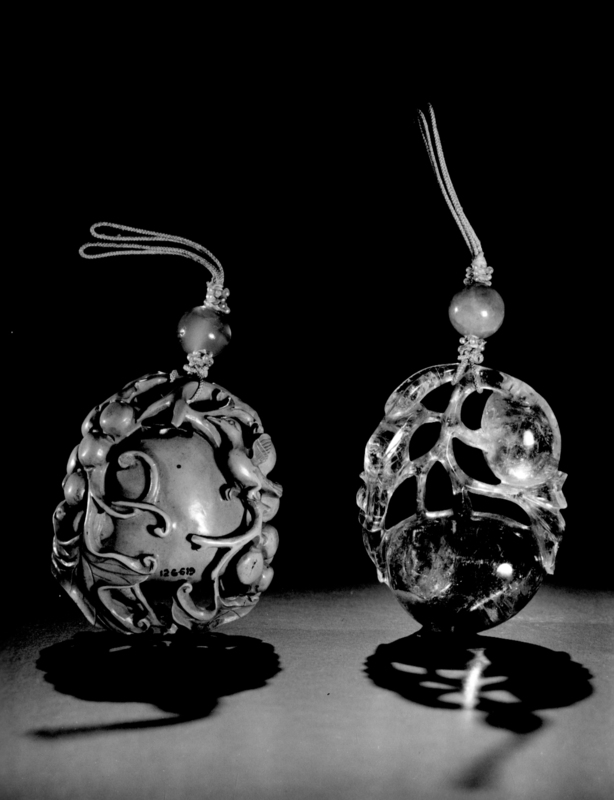 Description: girdle pendant, A girdle pendant of light yellow clear amber carved in the form of three peaches and two birds. 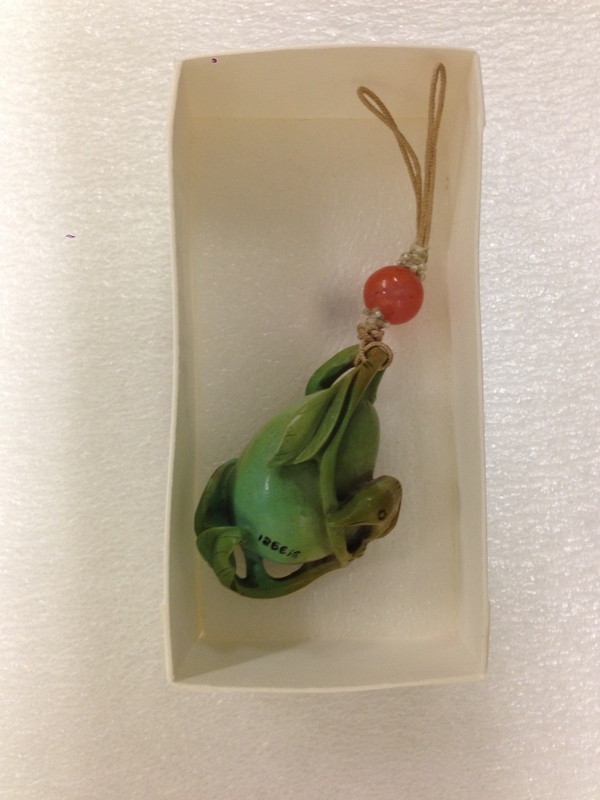 It is attached by a dark blue cord with seed pearls and a jade bead. 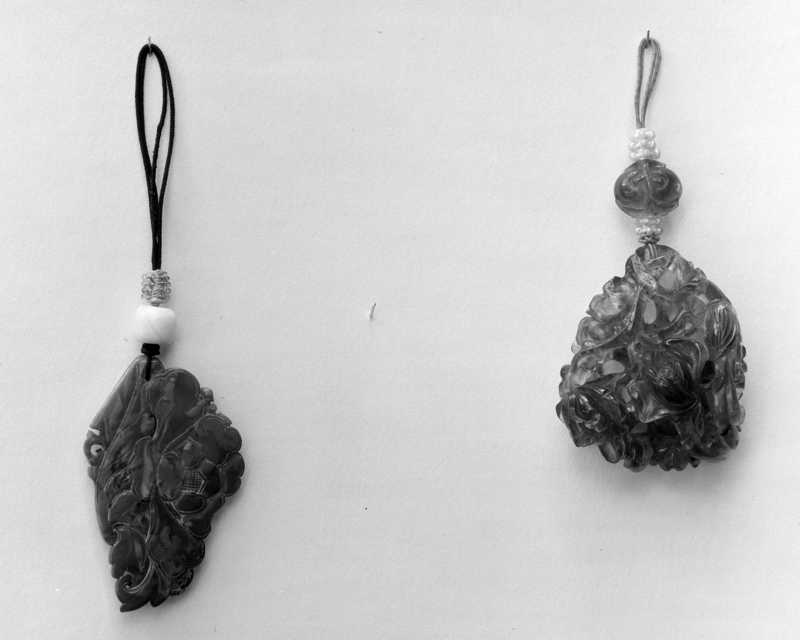 Description: girdle pendant, A girdle pendant of light yellow clouded amber (mi-la) carved in the form of a fox and melons with undercut leaves. 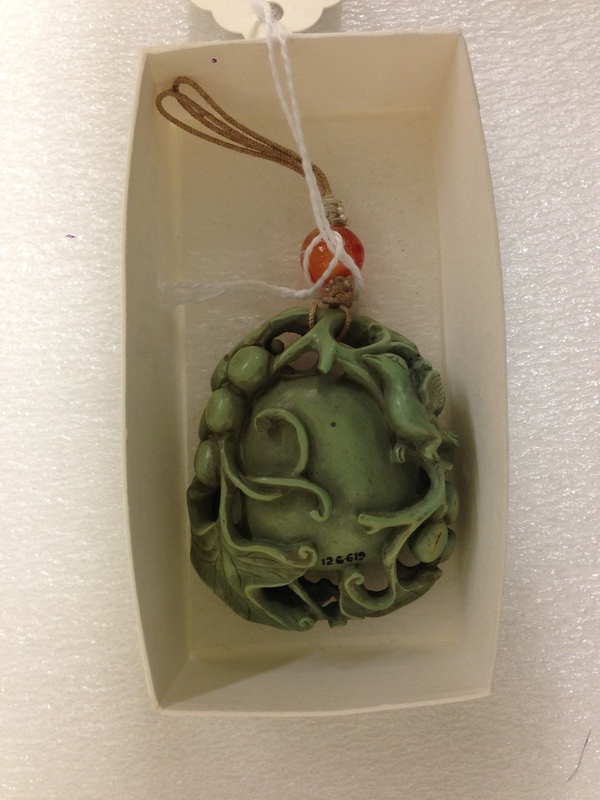 It is attached by a dark blue cord with seed pearls and a jade bead. 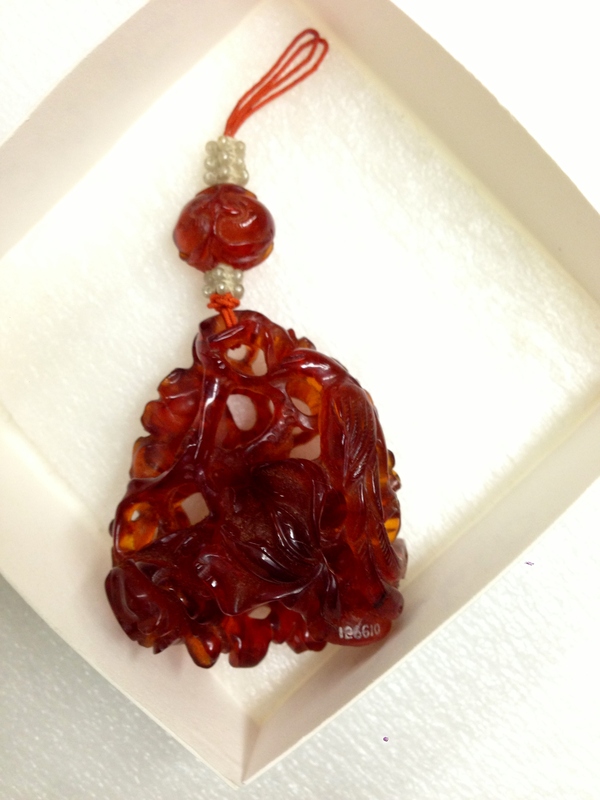 Description: girdle pendant, A girdle pendant of brown clouded amber carved with low relief representing a lion-like animal holding ling-chi in relief. 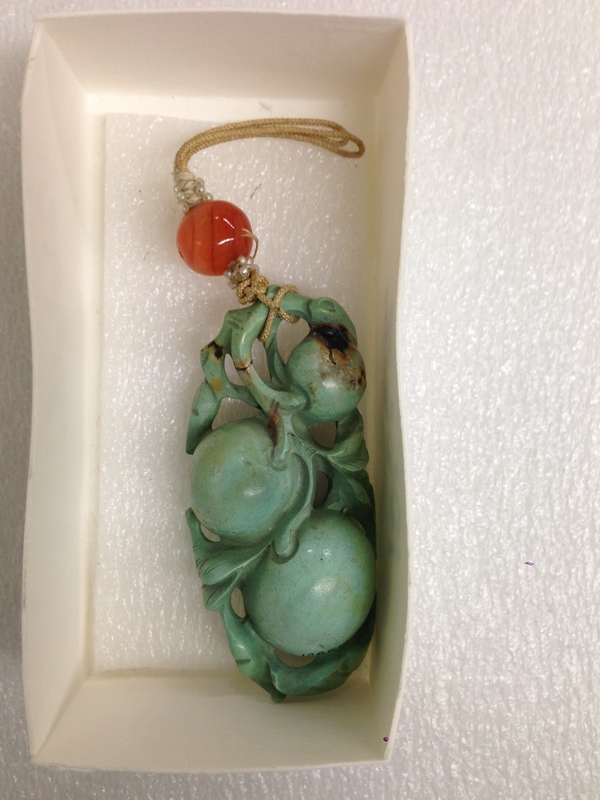 It is attached by a dark blue cord with seed pearls and a jade bead. 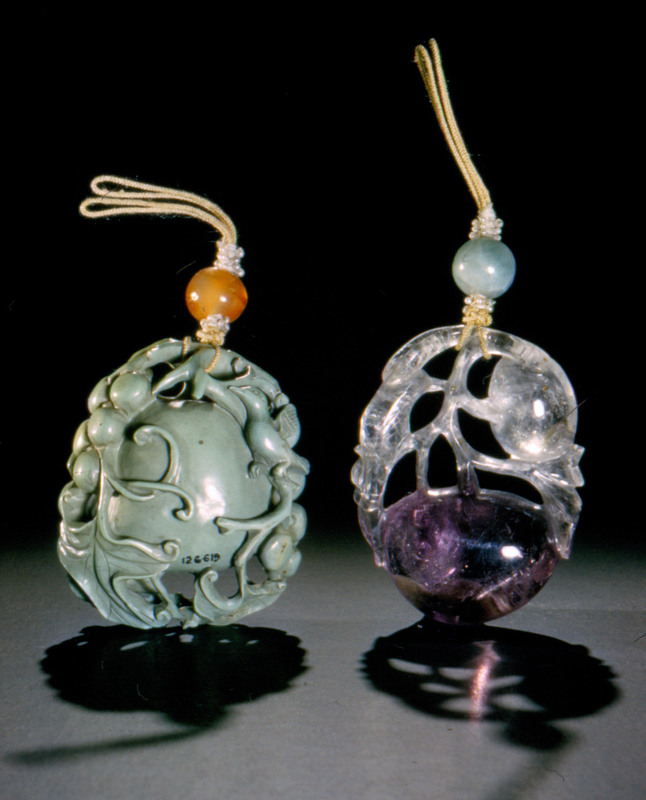 Description: girdle pendant, A girdle pendant of brown clouded amber carved in the form of a medallion, with a peony in low relief. 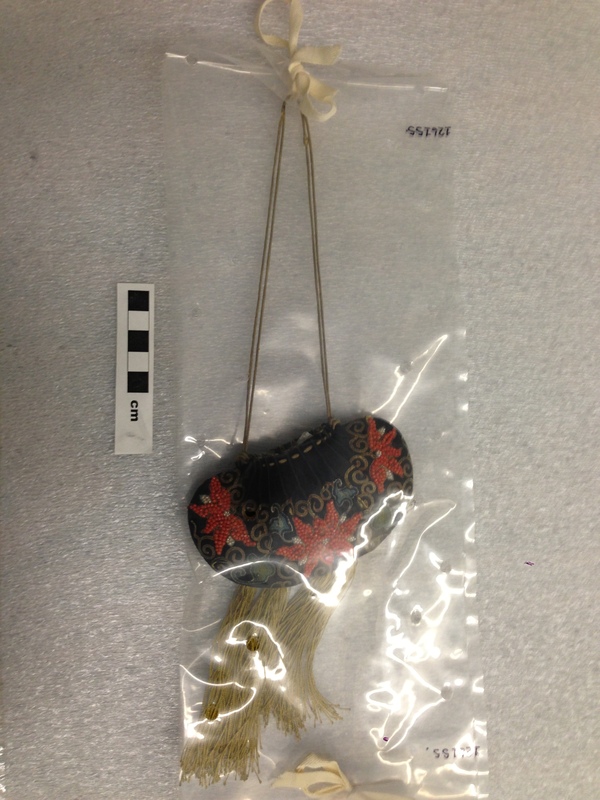 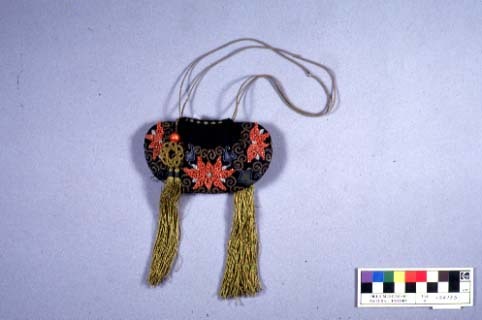 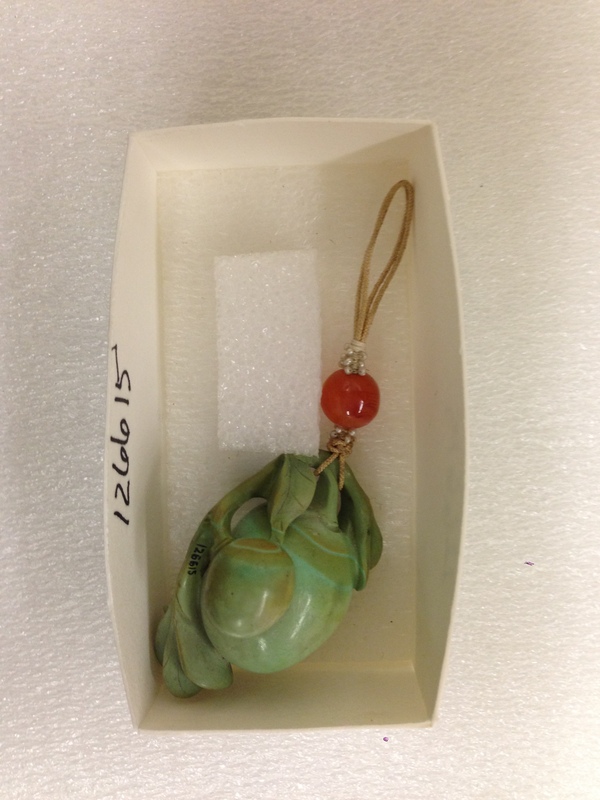 It is attached by a blue cord with seed pearls and a jade bead. 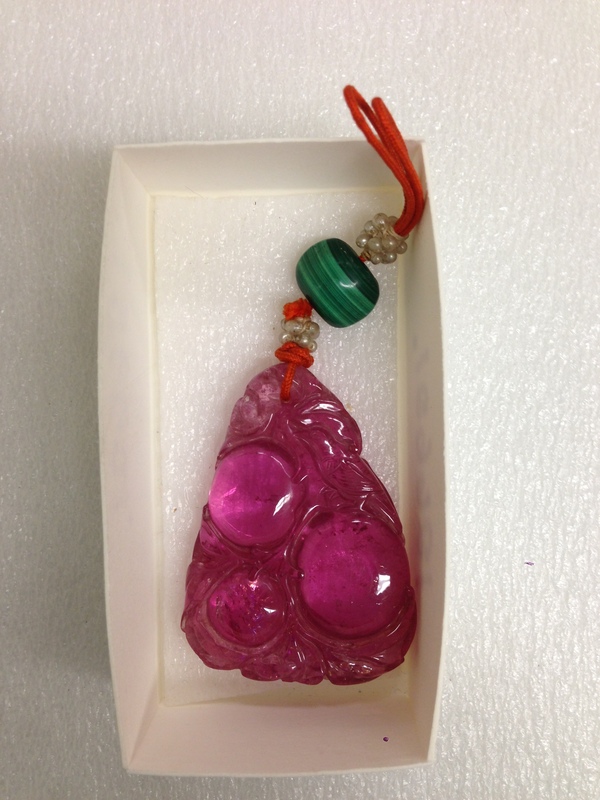 Description: girdle pendant, A girdle pendant of pink tournaline cut in circular form and carved with low relief representing a hydra. 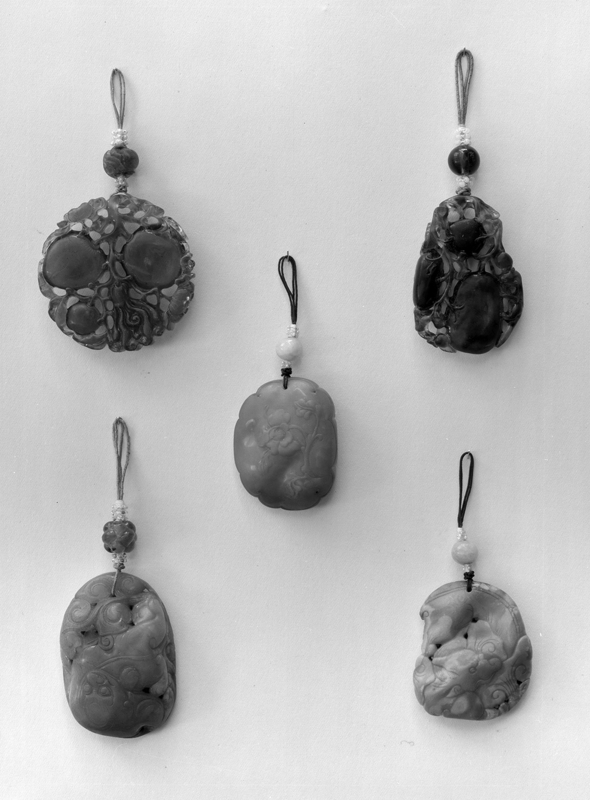 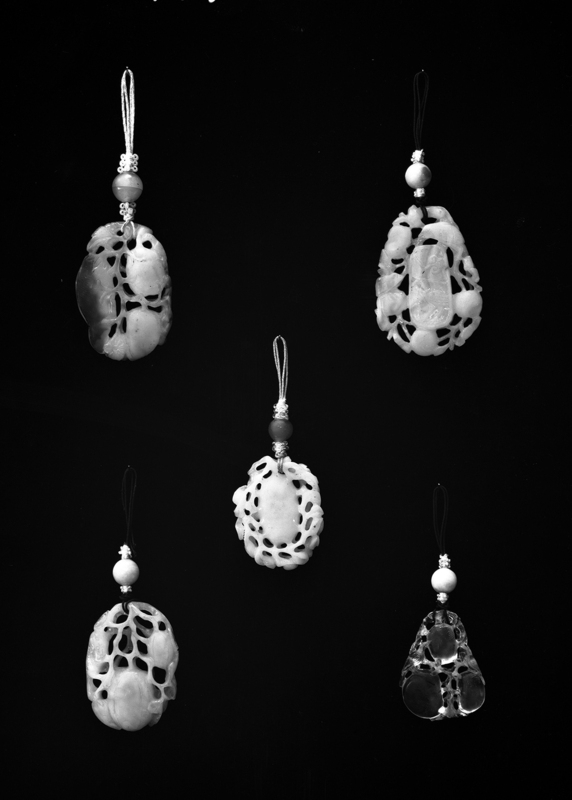 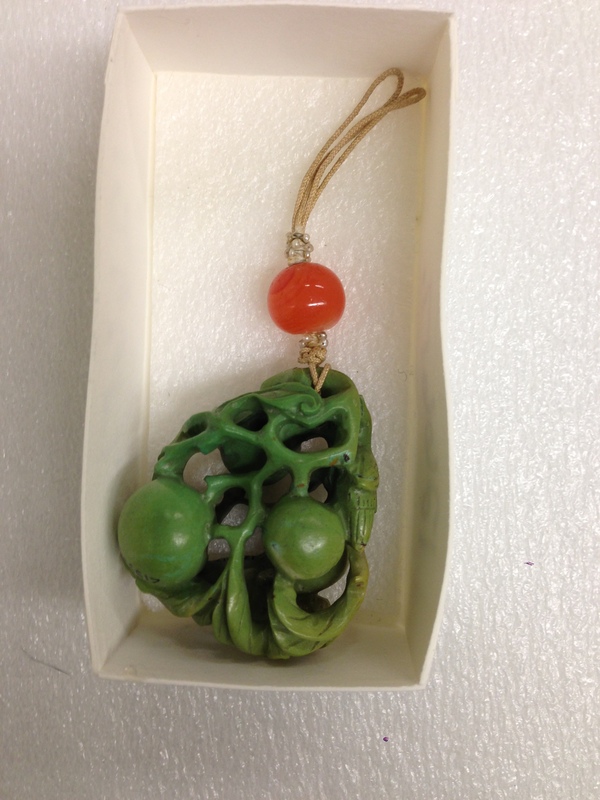 It is attached by a yellow cord with seed pearls and an oval jade bead. 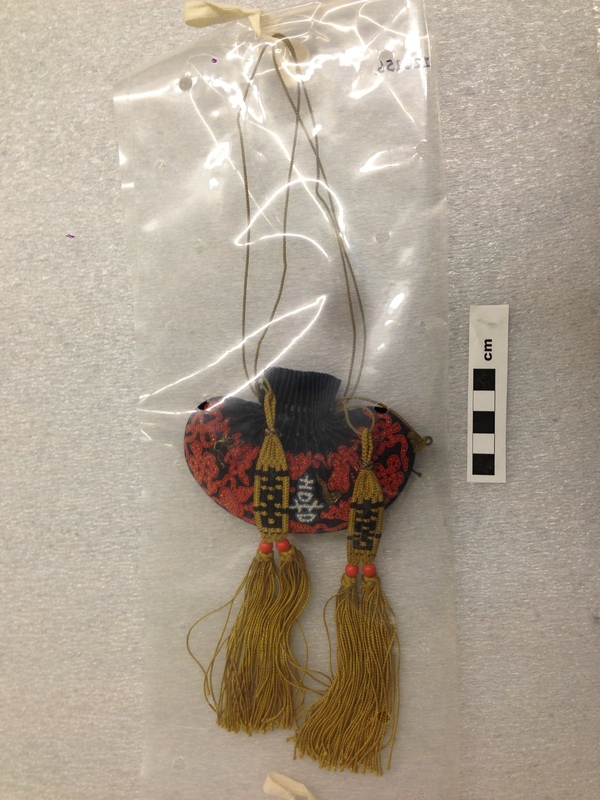 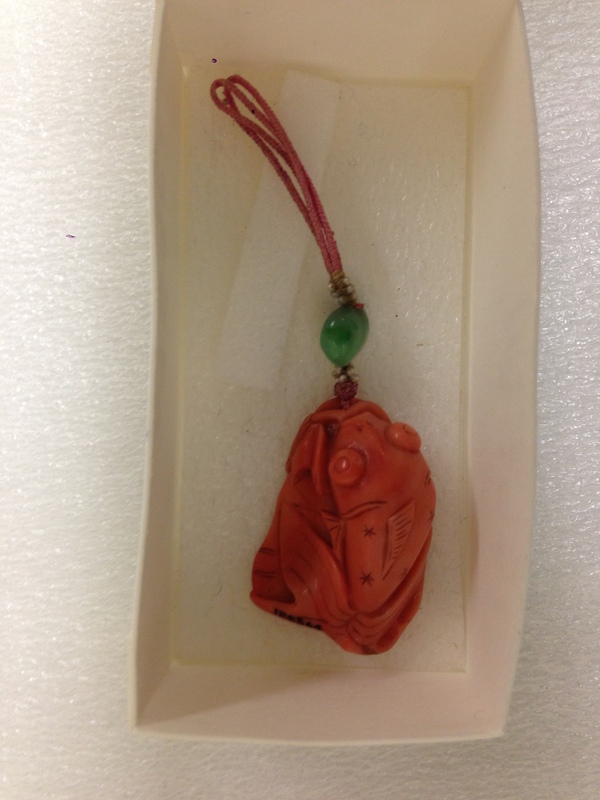 Description: girdle pendant, a girdle pendant carved from jadeite (fui tsui) in the form of peaches and a bird. 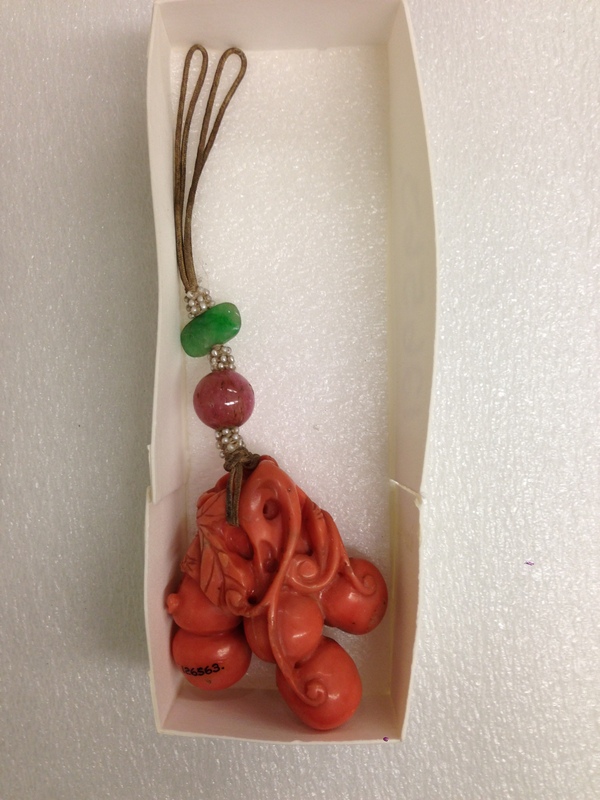 It is attached by a yellow cord with seed pearls and small corals and a flat pink tournaline bead. 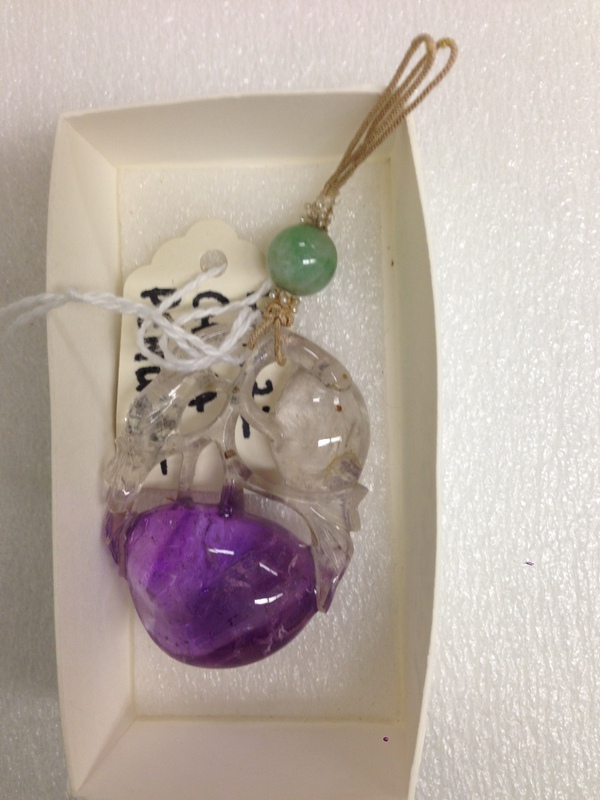 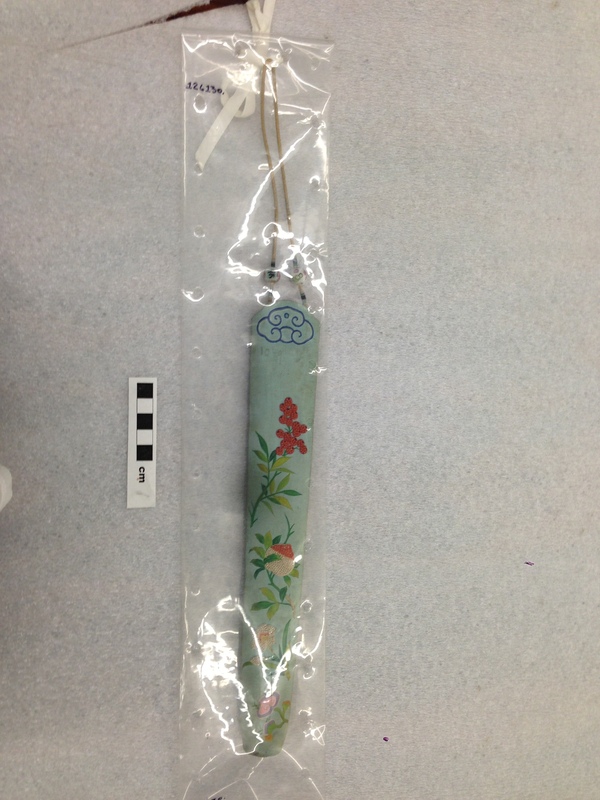 The reviewer says it is modern and x-ray diffraction tests indicated it to be jadeite.